This is another Minus 5 album. Now the eighth LP from the loose creative collective/serious drinking association helmed by wayfarer and musical enabler Scott McCaughey. This one is called Killingsworth. A recording worthy of the murders committed during its genesis? Perhaps. Incoherent yarns mostly told after midnight by highway hobos in and around Portland, Oregon? Surely. 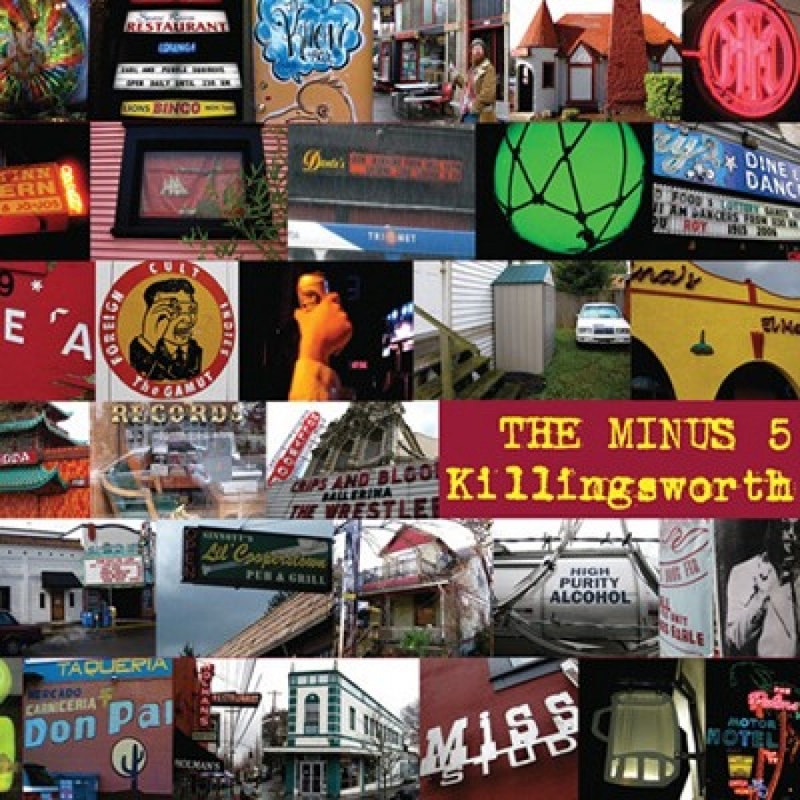 Killingsworth features an incarnation of The Minus 5 including apparatus support poles "McOi," Peter Buck and John Moen (Decemberists). Other gypsies in the carnival include The She Bee Gees, further Decemberists Colin Meloy, Jenny Conlee, Chris Funk, Nate Query and many more. Pedal steel belted radials drive throughout the gravelly fern-lined byways of the neighborhood of Killingsworth. Either ride along with the show or get out of the way of its careening wheel man, drunk with liquor and blood. Up to you, friend.